A simple content where language and locale can be change by country. 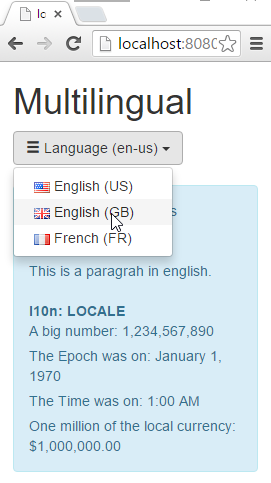 Here are three countries, including two with the same language (i18n) but different currency and date format (l10n). 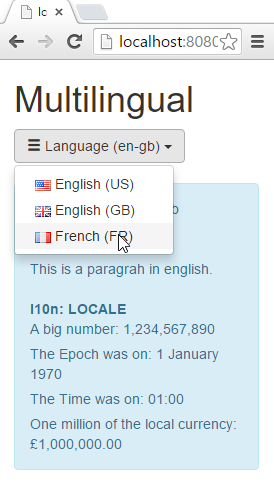 By switching from US to GB, only currency and date format has changed (l10n). 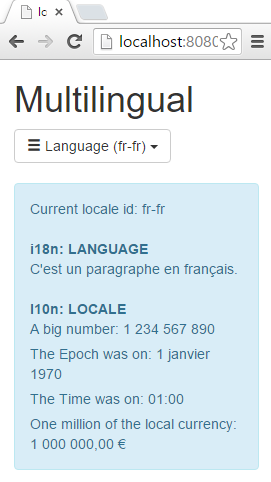 With FR: language, date and currency change. For each language, there are two files. 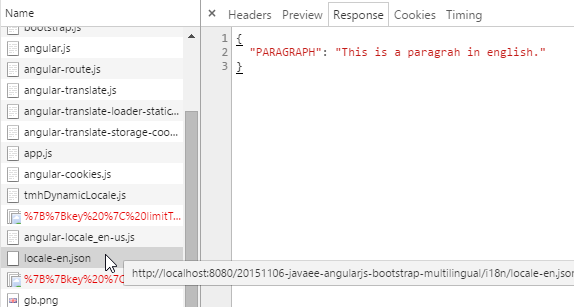 By default, your browser language is used. But if the app does not know this language, it fallbacks to ‘English (US)’ …until you choose another with the menu. Because this app use browser locale, cookie and fallback language, there are three scenarios at startup. 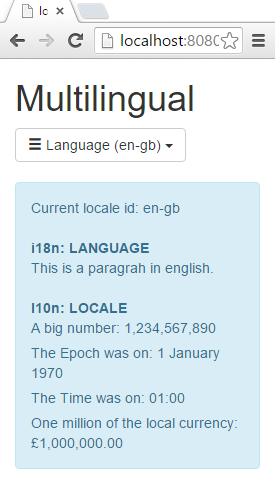 "PARAGRAPH": "This is a paragrah in english." 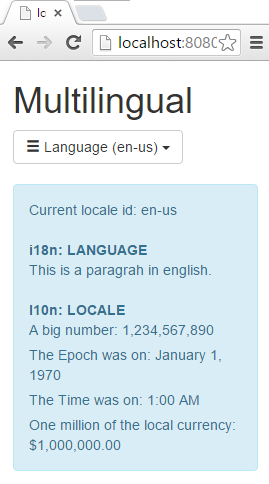 "PARAGRAPH": "C’est un paragraphe en français." “img/flag_icons/%7B%7Bkey%7ClimitTo:2:3%7D%7D.png 404 (Not Found)” – how to fix it? Take a look on your screenshot at https://damienfremont.files.wordpress.com/2015/11/screenshot006.png. You have had the same problem. Thank you, the answer is here.